Techaccess provides the enterprise network solutions with the use of most comprehensive products of combinations in the entire industry. These products include Ethernet switches and enterprise routers, as well as Wireless Local Area Networks (WLANs), network security, and network management. Techaccess helps enterprises build integrated infrastructure network platforms for campuses, branches, WAN interconnections, and data centers by coordinating services such as network and security, wired and wireless, computing, and storage. Techaceess has partnered with industry leaders to deliver dynamic solutions that not only improve the integrity of your network infrastructure, but ultimately benefit your bottom line to give you the competitive edge you need to succeed in today’s fast-paced business world. Your organization’s security policy is unarguably one of the most important documents that need to be adhered to. In case of non-compliance, state regulations can intervene and severe consequences may follow. To avoid any such circumstances, you need a strong and well-built network that can withstand any cyber-attacks from within the organization as well as from the outside. The need for data protection has never been greater. With great technological advancements, anyone with a computer and an internet connection can try and hack into your network and access sensitive data. To ensure you are always complying with all relevant data protection regulations, the security of your network is an absolute must. The network administrator plays the key role in providing access to any device in a network. If you do not have the proper tools, unauthorized access may be gained from a remote location and sensitive data may get modified, misused or even deleted. Thanks to our collaborative partners, we are able to offer assistance with stealth firewalls, packet filtering firewalls, proxy firewalls along with many other intelligent software solutions to provide businesses just the right amount of security to make their network system immune to any potential threats. Your security policy is not just any piece of paper. It defines how you will keep up to your commitment of protecting sensitive customer data from any unauthorized access. Techaccess Pakistan will take on all the challenges of your networking system and provide smart hardware and software solutions to provide it complete protection from the tip to the end. Our experts have years of experience in installing, maintaining and overlooking firewalls, antiviruses and other network security programs that can mitigate all threats and provide you a secure network to communicate in. 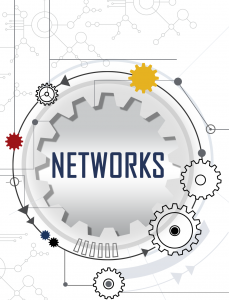 Our services include the design, installation, support, training, and securing of network systems. Technology is obviously a critical component all business and is on the leading edge of both equipment and services to maximize the results for all of its clients. We can help standardize and simplify your network infrastructure to better support critical business needs and new capabilities while increasing security and reducing risk.